Tom O'Brien at Lingfield yesterday suffered a distracting error which now see's him hit with a seven day ban. The Grade 1 winning jockey this season forgot to weigh in after his ride on Shaw Cross in the fourth race on the card. The skilled rider blamed his mishap on the ongoing investigation into the horse he was rode in the first race, which was Perfect Moment for trainer Michael Roberts, who finished a long 21 1/2 lengths back in fifth. Caring more about this, with his mind elsewhere, he forgot to weigh in after finishing third in the two mile handicap hurdle contest and unfortunately the horse suffered the consequences aswell for this by being disqualified from the placings. There was a long period of an hour and half between the two rides for O'Brien with the stewards taking extra time to finish there enquiry into the first race and the running and riding of Perfect Moment. The stewards took the jockeys explanation for his ride in the first and took no further action. 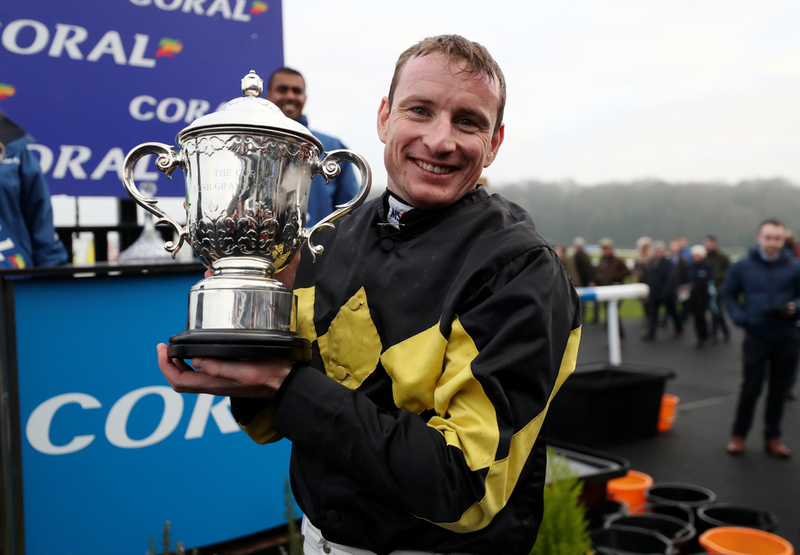 (Credit Racing Post) BHA chief steward Sam Angell said: "Unfortunately Tom was distracted, he's passed the scales on his return to the changing room and hasn't weighed in. That triggers the inquiry and immediate disqualification of that horse. "We were in the process of holding an inquiry with him from race one and he held his hands up that he had that on his mind." When asked about the time taken to finalise the enquiry he added: "They're lengthy inquiries but we still need to get through the day's racing. "It's always a difficult one and we try to deal with them in a timely fashion, but when you're dealing with 30-minute gaps and jumps racing you have only ten-minute windows between each race to try and question people, and the only option is to keep adjourning and coming back to them during the course of the day."